We love a good bar of soap. With an easy, rich, moisturizing lather, a bracing fresh minty scent, and a super clean rinse, this is a very good bar of soap. 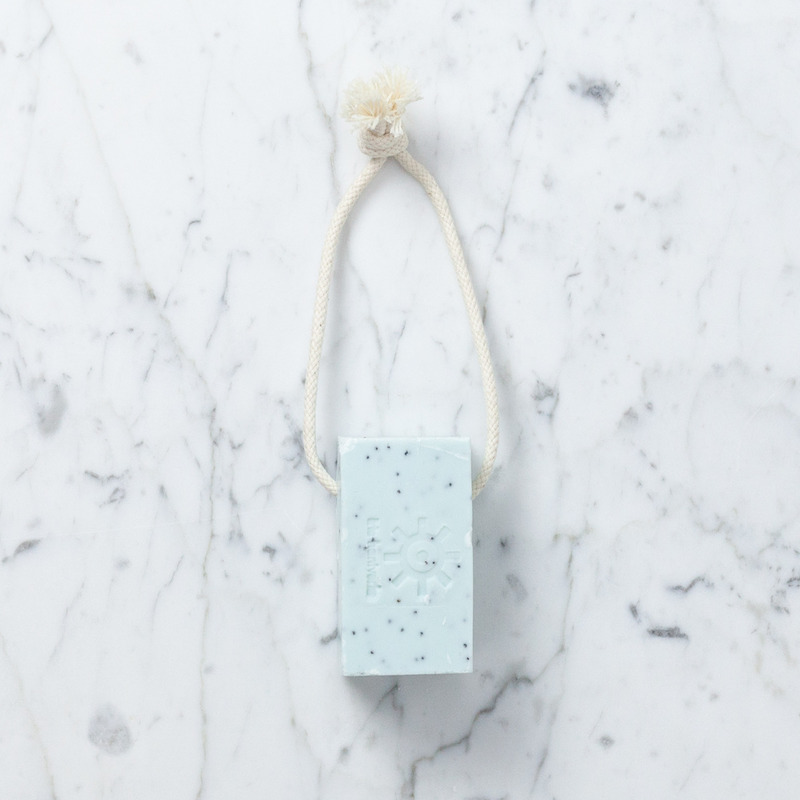 Hand-made in small batches in Sweden, with all-natural ingredients, essential spearmint oil, and studded with gently exfoliating poppy seeds, this natural, preservative and paraben-free vegetable soap is perfectly versatile as an all purpose hand or body soap. 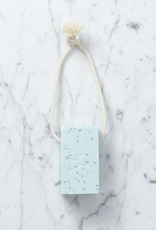 Fitted with a short length of unbleached cotton rope, we love to hang this in the shower (or from our kitchen sink faucet) for easy access, dry storage, and long lasting cleansing power. Brilliant.